A beautiful trip we frequently travel is from Ventura to Santa Barbara, a 33-mile drive on the 101 freeway that runs along the same route as PCH (Pacific Coast Highway). You’ll find ocean views to your left and mountain views to your right. 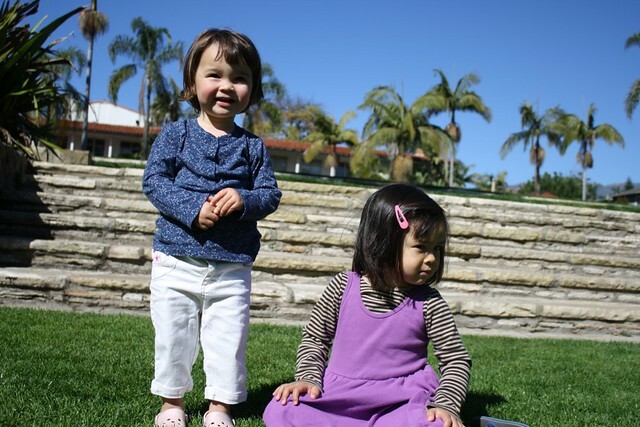 Since moving out here, we’ve been to Santa Barbara several times. Not only does my best friend live in Santa Barbara (which warrants frequent visits), there is also the Santa Barbara Zoo, several museums, Santa Barbara Botanic Garden and other hidden gems. 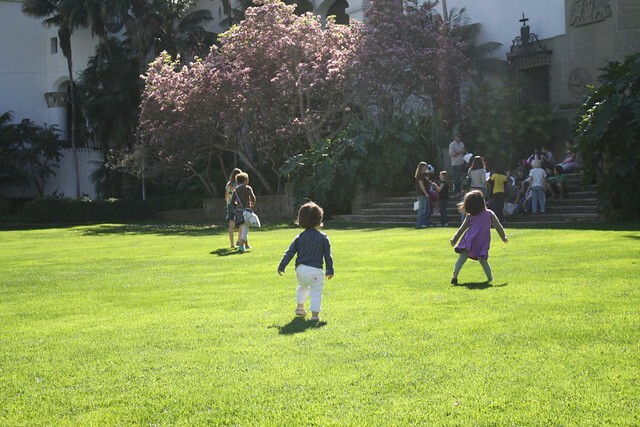 One hidden gem that the kids enjoyed were the Sunken Gardens outside of the Santa Barbara County Courthouse. They had a blast just running around the grassy area and also watching some older kids, who were there for what looked like a class trip. We also took a peak at the Arlington Theatre. Since it was closed, we mostly enjoyed it from the outside. There were interesting architectural features. 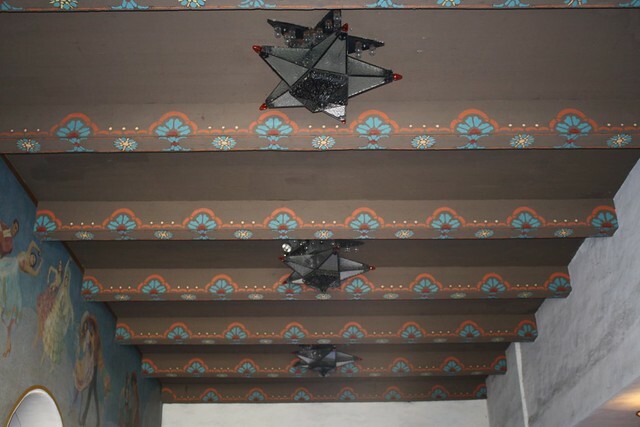 The parts I found most interesting were the ceiling detail and light fixtures. 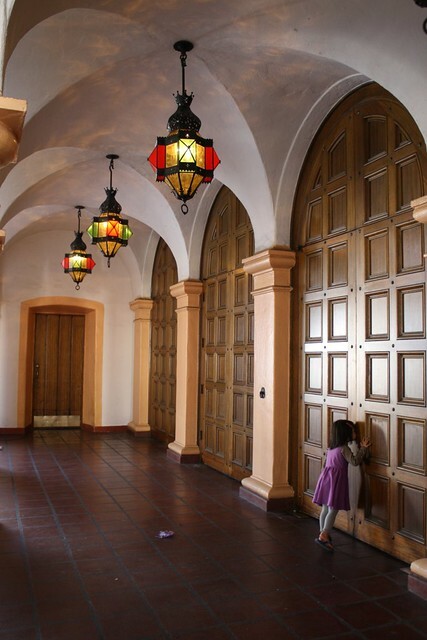 We definitely have more exploring to do in Santa Barbara, with and without the kiddos. On top of the Must-See List (with the kids) is this play structure near the Alice Keck Park that also has beautiful gardens to wander through. On the Must-Do List (without the kids) is hiking one of the many trails in Santa Barbara, starting with this hike. 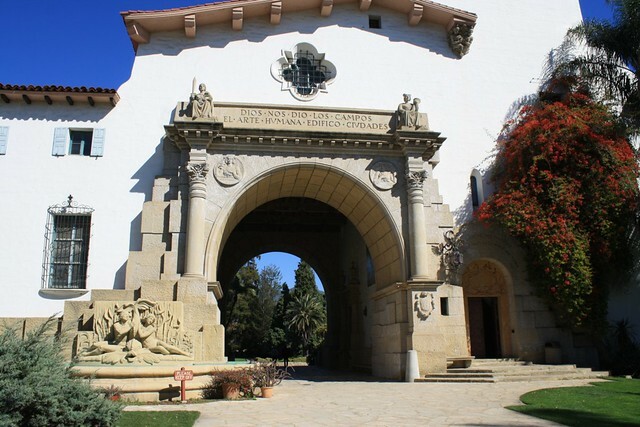 This entry was posted in Local Adventures in California, Post-Road Tripping and tagged Arlington Theatre, Santa Barbara, Santa Barbara County Courthouse, Sunken Gardens on April 17, 2012 by rcn.